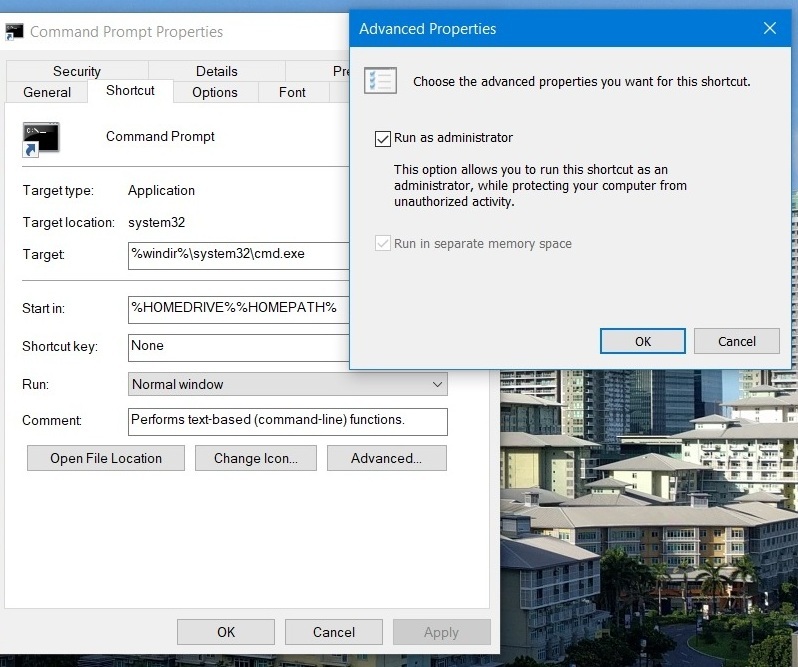 Right-click Command Prompt, under More, click “Run as administrator“. In the User Account Control dialog, click Yes to continue. 1. Right-click Command Prompt, under More, “Open file location“. 2. Windows Explorer will open to the Command Prompt shortcut. 3. Right-click the Command Prompt shortcut, and select Properties. 4. Under Shortcut tab, select Advanced. 5. Click the box “Run as administrator“.